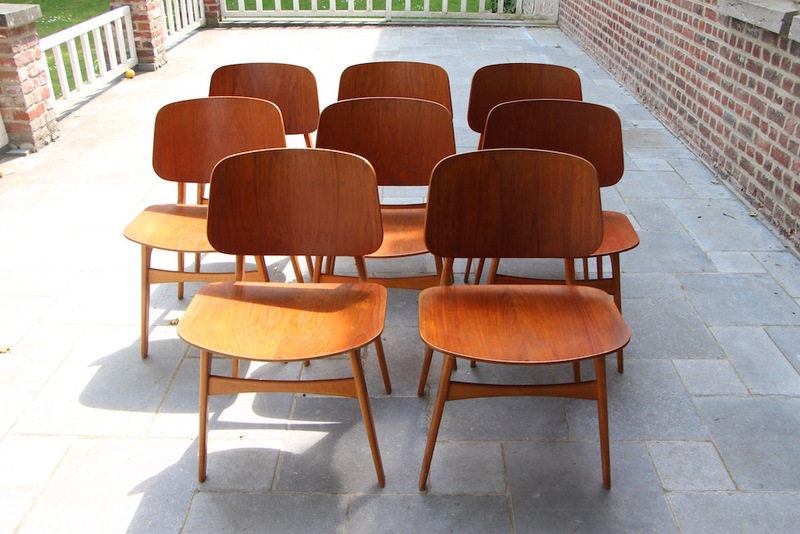 Magnificent set of 8 Borge Mogensen chairs. 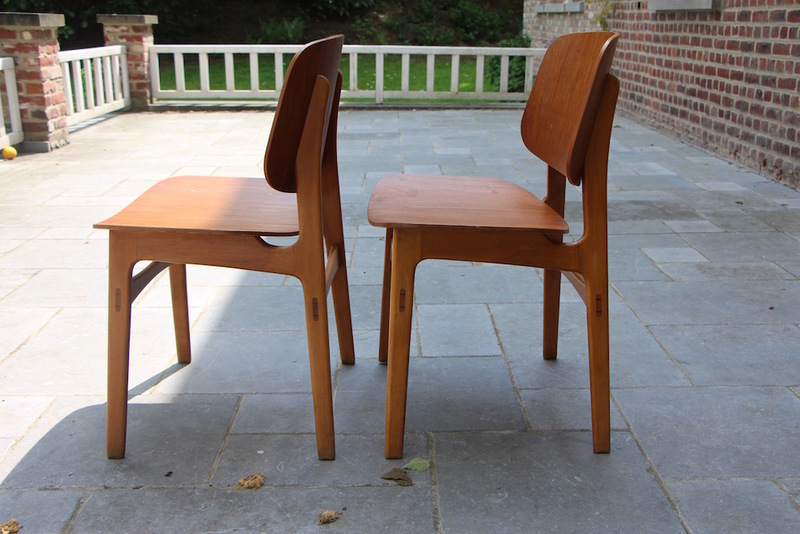 Borge Mogensen was a Danish designer (1914-1972). 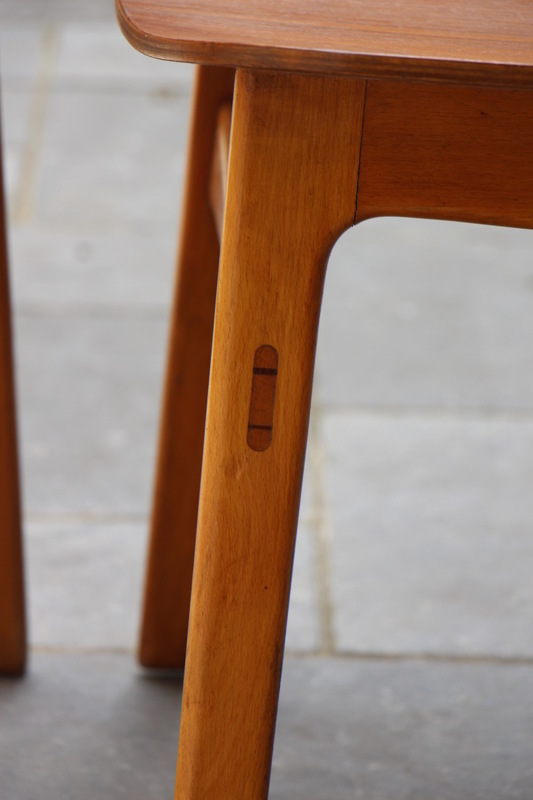 He often used several types of wood in one same piece of furniture. 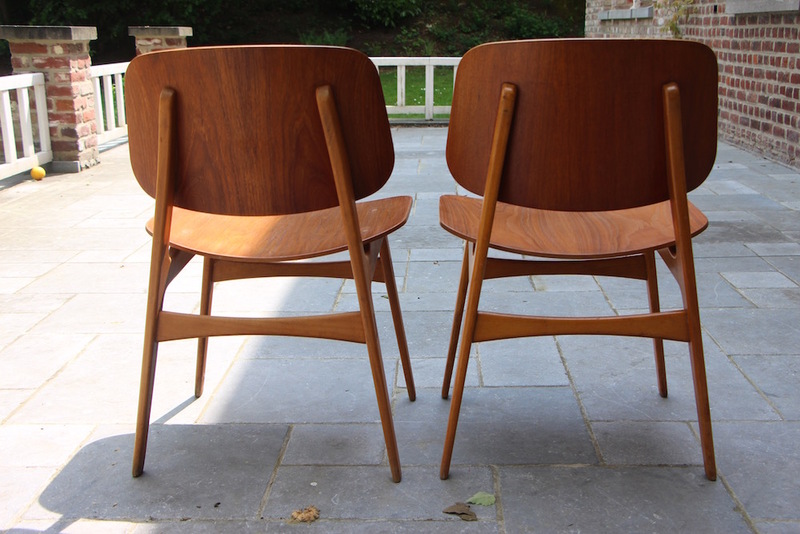 In this case the back and seating of the chair is made of teak, and the feet are made of oak. 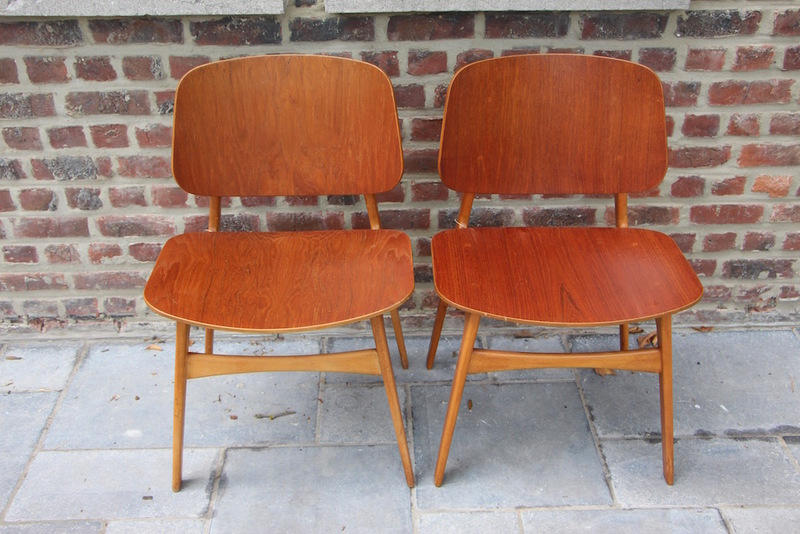 The chairs also have beautiful wooden details on the legs. 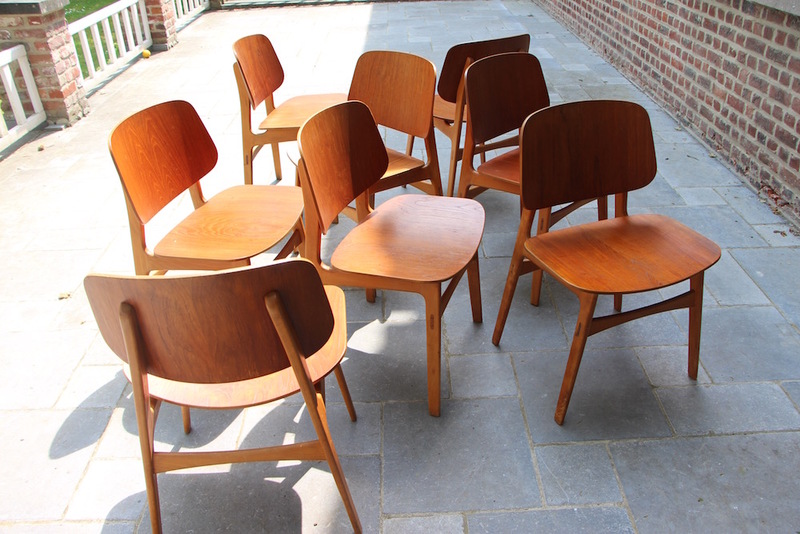 They have all been restored and are in mint condition. Som are marked underneath "made in Denmark". Can be sold by the pair.